Our planet is dying. The Extinction Rebellion movement around the globe has been taking to the streets and engaging in direct action to demand that the world’s governments Tell the Truth and Declare Climate Emergency Now. Without unprecedented action to achieve the immediate drawdown of the carbon economy, the Earth is in its Sixth Mass Extinction. 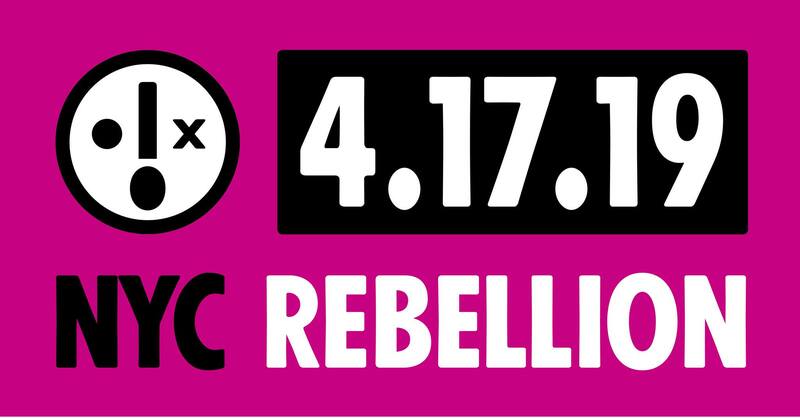 Here in New York City, Extinction Rebellion NYC is heading to City Hall on the morning of April 17th to demand a declaration of Climate Emergency and the pursuit of policies to reach zero emissions in the city by 2025. The current administration is pouring money into protecting the financial interests, while leaving most of NY to suffer the fates of climate induced flooding - we demand that they Tell the Truth about the dire situation and take bold action to respond. Join the hundred plus people already trained in non violent direct action to address climate change with Extinction Rebellion New York City. We are holding another introduction to non-violent direct action—both theory and practice. A training on near-term strategy of XR-NYC and plans for April 17. The most effective resistance requires training! The ticket price is to cover the cost of space and trainer. If $10 is a hardship for any reason whatsoever, a free ticket plus a metrocard ride is available if you email ccxrnyc@gmail.com.